A new collection of small kinetic pieces (not for sale). Of Inclining Wonder is in a show at Mass moca opening on june 23, 2018. Chancellor Jonathan Wener of concordia university and His wife susan graciously donate di octo. It is now located between mackay st. and maisonneuve blvd. In Cloud Light IV was installed in the center of a traffic circle in Woodinville, Washington early this summer 2017. Directly in front of a new condominium complex being constructed there. Lucea II appeared behind the actress and singer Auli'i Cravalho singing "How Far I'll Go" from the movie Moana. "Anthony Howe creates art that seeks to slow your heartbeat down and make your life better"
PRESS RELEASE – "American Kinetic Wind Sculptor, Anthony Howe, Kicking Off The Rio 2016 Olympics In Dramatic Fashion With One-Of-A-Kind Olympic Cauldron. 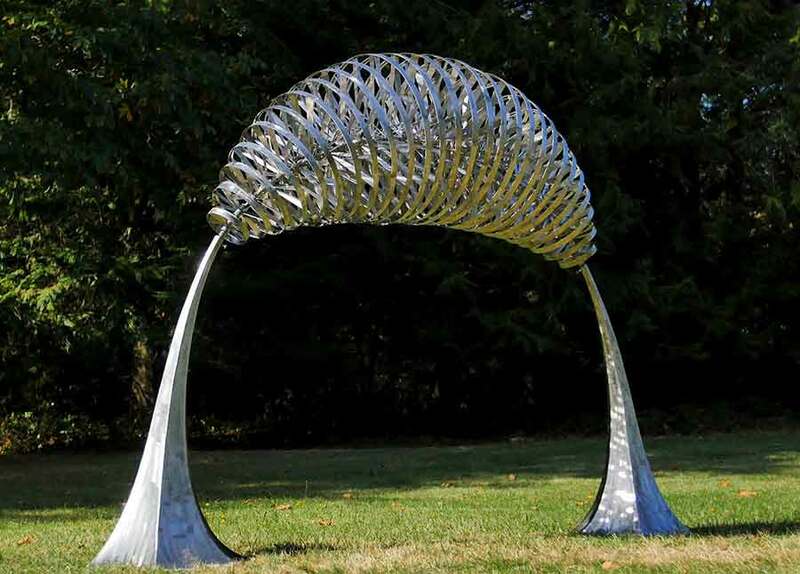 Howe's Kinetic Olympic Cauldron Promises to be a Centerpiece in Rio de Janeiro During the 2016 Summer Games and Beyond"
"Orcas Island artist steals the show at Rio Olympics opening"
"Famous American artist brings kinetic sculptures to Dubai"
"Kinetic sculpture goes up in downtown Topeka. 'Chief II' is part of Security Benefit pocket park"
"Unveiled: Barneys New York Holiday Windows, A Baz Dazzled Affair"
"Giant squid? Solar system? Enter the garden of hypnotizing sculptures"
"The Creators Project linked up with Anthony Howe, an Eastsound, WA-based painter and sculpture artist to highlight his work in the medium of surreal kinetic wind sculpture that are initially designed in 3D software."